It’s time for moving. 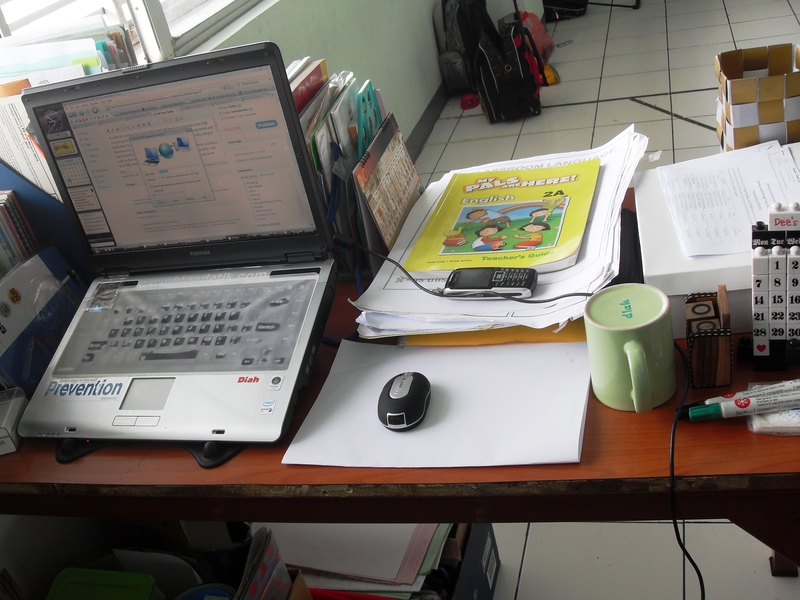 Our work station that had been concentrated in the staff room, it has to be moved to our own classes now. This means all equipments and goods must be removed from the teachers’ staff room. It may be taken along to the classroom, or sorted to be used or discarded. This entry was posted in About Me and tagged Al Irsyad Satya, art room, artwork, classroom, Primary 2. Bookmark the permalink. That’s very interesting – at my school we also don’t use a staff room, we ask our teachers to base themselves in the classroom so that they can be always available, visible, and closer to the students. I would be interested to hear from you about how you think this has affected your planning, teaching, and your relationship with your students. Thank you for stopping by, Mr.Donovan. In my previous school we also apply this system for long. I believe it will create stronger bond between the students and the teacher. The teaching-studying activities quality will be improved, I believe. It takes time for quite a while to get use to this “new” system, but it will being improvements in some areas.